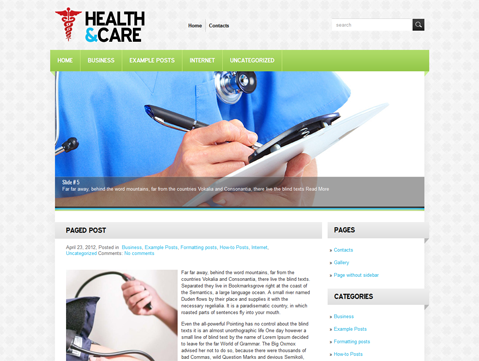 HealthCare is a premium WordPress theme aimed at medical and healthcare professionals. 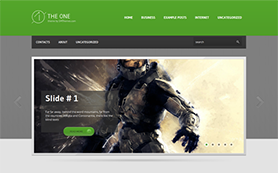 The theme is polished in nature and beautifully mixes elements of white, green and blue colors to give your site a clean layout. It has an impressive slider and a great social share bar, which make it easy to share your posts with people. 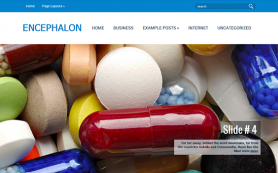 The design has all the great features of a free WordPress theme and would give your business and personal blog a great makeover. 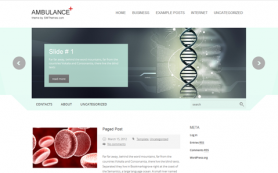 So download and install this excellent Wordpress theme today.